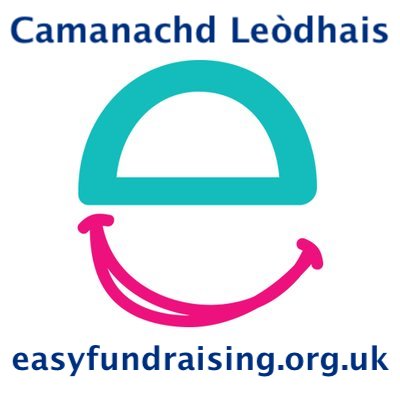 Camanachd Leòdhais put in an excellent performance and pushed North Division One side, Kingussie Colts, all the way in the first round of the Sutherland Cup on Saturday 13th April at the historic Dell. 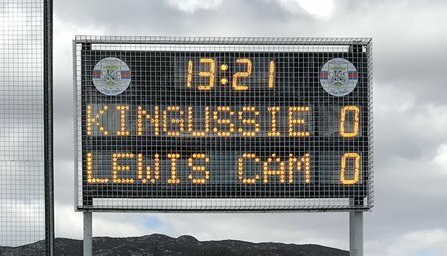 Seeing the club’s name up in lights on the iconic Kingussie scoreboard was a sign of how far the club has come since the first cup matches in 2007. Unfortunately na Leòdhasaich fell behind to a Ryan Borthwick goal after only 6 minutes, but our boys did not let that get them down and worked hard with Donald Lamont scoring on 24 minutes to equalise and also go clear as the club’s all-time top scorer on 40 goals. Kingussie were frustrated by a hard working Lewis first half performance and only managed to go in ahead thanks to another from Borthwick on the stroke of half-time. In the second half, our lads stuck to their task well, but Kings received a penalty on 56 mins that Borthwick scored to gain his hat-trick and then the Badenoch side finally gained some closure on the game with Calum Miller’s goal with 15 left. Next week the club has another free weekend. We resume the week after away to Lovat in Strathdearn Cup action.